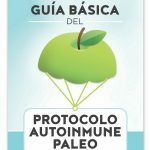 Many of you know that I recently published the Spanish translation of my book, A Simple Guide to the Paleo Autoimmune Protocol. I thought it would be fun to share more about the process. Like many things in life, we don't truly understand something until we live through it. For example, I thought this would be easy! It wasn't, but it was definitely worthwhile. Here are the top 5 things I learned along the way, and a woman I'd like you to meet who I call the “midwife” for this translation: Alice Dénoyers of Episalud. Translations aren't simply taking your book “as is” and printing it in another language. That's what I originally thought. I didn't think it would require any work on my part. I thought I would just hire a translator (inexpensively) and print the book when it's finished. Not so! When you write a book, you unknowingly write it with a bias toward your culture and country. 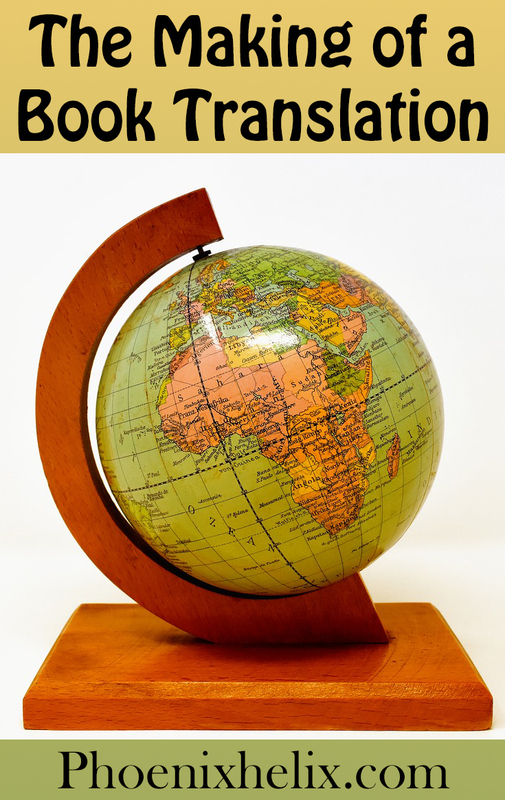 If you want to share your book in another language, it needs to be adapted – not just the language, but also the content with other countries and cultures in mind. For example, with my book, the grocery list needed major changes because some foods were only available in the United States, while others were missing that are common in Spain and Latin America. For the holiday chapter, celebratory foods needed to be changed. Also, many resources mentioned in the English version weren't available in Spanish, so they needed to be removed and Spanish replacements found wherever possible. Those are just a few examples. At the same time, it's important to retain the essence of the original. Otherwise, it's not a translation, but a completely new book. It's challenging to walk that line. With the Spanish translation, it was even more challenging because it encompasses many different cultures around the world. My translator and I were partners in this process. It's a close collaboration with lots of discussion, mutual respect, hard work and trust. Translation is an art. There's nothing simple about it. Translation is a profession. It requires more than fluency. I thought I could hire anyone who spoke Spanish to translate this book. I've since learned that translations made that way often don't turn out very well, even with the best of intentions. Why? Professional translators are also professional writers, able to capture the voice and rhythm of the original book. Why is that important? Think back to grammar school where they made you write the same sentence 10 different ways. Each version slightly changes the tone and meaning. As a professional writer, I've been published in newspapers and magazines, and that means working with editors. The best editors made slight changes, simply making things more concise or more clear. However, one editor completely rewrote my article in a formal tone of voice. The content was correct, but I was furious because it no longer sounded like me. I was embarrassed to have my name on the article. With a translation, part of the art is creating an adaptation that retains the voice of the original author. They go through an extensive training program. For AIP books, you also need someone fluent in the paleo autoimmune protocol. While my translator was wonderful, she wasn't AIP, and she wasn't comfortable translating without a consultant. That's where Alice Dénoyers comes in. She's a leading voice in the Spanish AIP community who is also fluent in English. I met Alice after she read my book in English and asked to interview me for her blog. One of her professional goals is to increase the number of Spanish AIP resources. She introduced me to Julia C. Gómez Sáez, the professional translator I hired, and Alice filled an essential role as Spanish-speaking AIP consultant. Alice provided suggestions for adaptations and also proofread the translation to make sure no mistakes were made. Translations cost more to produce than the original book. It's both an investment and a leap of faith. Once I learned the lessons mentioned above, this makes complete sense. I wrote the original book, but it required a team effort to write the translation. Professional design and promotional expenses came on top of that. It was a financial risk, and I honestly don't know if Spanish sales will be high enough to pay off my original investment. But there are over 400 million native Spanish speakers worldwide, and autoimmune disease doesn't discriminate based on language. My hope is that this resource will help many Spanish-speakers improve their lives, just as it has improved my own. You may wonder – why didn't I simply sell the book rights to a Spanish publisher? The close collaboration I talk about above doesn't necessarily happen when rights are sold. If my name is on the cover, I want it to truly be my book. It was important to me that the information I teach about the AIP was adapted correctly. It takes a village, and I don't speak the language of that village. It's incredibly hard to market a book in a language you don't speak. It was funny, because I kept forgetting this. Once the translation was done, the book went to my designer, the wonderful Chelsey Luther. When she finished and we could print it, it was time to promote. I suddenly realized I was incapable of doing that. I couldn't write the sales page, or the social media copy, or even communicate with many Spanish-speaking AIP bloggers because many of them don't speak English, and I don't speak Spanish. I did some quick scrambling to get the sales pages translated, and reached out to as many people as I could. Slowly, word is starting to spread, and I owe it all to the Spanish-speaking Paleo and AIP communities. I could use your help, too! If you know anyone who could benefit from this book, here are some quick links. I would be so grateful if you would share: Amazon US, Amazon Mexico, Amazon Spain, and the PDF Ebook is available worldwide. 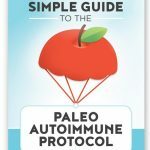 How did you first learn about the paleo autoimmune protocol, and what difference has it made in your life? In 2014, I was suffering from the biggest health challenge of my life. I was 40 years old, my daughter had been born on Christmas Day 2013, and after that my health went downhill. I had depression, trouble nursing my daughter, anxiety, horrible insomnia, weight gain, memory loss, cognitive decline, etc. Little by little, I was losing my mind and my personality. I didn’t know who I was anymore. I remember thinking, ‘Everybody says I’m depressed, but I’m not! I have a wonderful daughter, I got married a few months ago, I love my job, I have friends.' I knew something was wrong with me, but it was not “only” depression. After a few months of internet research, I found out that my Hashimoto’s thyroiditis, diagnosed 9 years earlier, had much to do with that “post-partum depression” and that Hashimoto’s is an autoimmune disease. 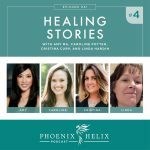 From that point, I discovered the AIP through a group of websites: Dr. Sarah Ballantyne’s, Dr. Datis Kharrazian's, Mickey Trescott’s & Angie Alt’s, and obviously your blog and podcast: Phoenix Helix. Since then, I haven’t stopped researching autoimmune disease, nutrition, lifestyle changes, exercise, rest, supplements, the latest scientific research on evolutionary medicine, the microbiome, gut-brain interactions, sleep, longevity, and anything else that could help me get away from this nightmare. The difference the AIP made in my life was huge. It made me want to live again. It gave me a second chance, for which I’m still grateful every single day. Before discovering the protocol, I was convinced my life was over. I was 41 years old, and one day I said good-bye to my 1-1/2 year-old daughter. I told my husband I would spend a few days in my flat in Spain (a two-hour drive from Andorra, where we were living), in order to rest and not bother anyone, but I knew I would never come back. My body and mind had reached their limit. I couldn’t stand so much suffering, not sleeping at night, not being able to work, walk, talk, think, or take care of my daughter. When I got to Spain, I went to the hospital and after 24 hours, I realized I was still alive. So, I kept on researching on the web, and I decided I would change my life completely. I started to eat bone broth, vegetables, fruit, healthy fats and protein, and I got rid of all processed food and sugar. After a month, I came back home to my husband and daughter as if I had survived a war. Now, four years later, I still have thyroid autoantibodies, but much fewer (from more than 2,000 to 600), and like you, Eileen, I’m 95% symptom-free thanks to this healing diet and lifestyle. 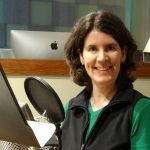 What was your goal in starting your blog, Episalud? I started my blog in February 2017. I had recovered my life through the AIP, spending more than two years gathering information through English-speaking websites, books, blogs, podcasts, and Facebook groups. I discovered a mission to share what was, for me, a miraculous solution. I had heard all the typical sentences from my doctors and relatives like: “It doesn’t have anything to do with your thyroid”, “Your condition is chronic, you can’t do anything about it”, “You worry too much, just get out of bed and see how beautiful life is”, “It’s all in your head”, “You made it up so now fix it by yourself”, etc. I had been diagnosed with chronic fatigue syndrome and had started to fill in administrative documents to get a lifelong work disability certificate. Once I got over all this pain and helplessness, I knew I that couldn’t keep what I had learnt to myself and that I had to share it with others. I decided to make the information in English available to the Spanish-speaking chronic patient community. I was able to use my knowledge of languages to bring the AIP lifestyle to the many people who were suffering and helpless, just as I had been a few months earlier. On my blog, I write about my own experiments with food, exercise, and mindset. I also write posts on scientific research, epigenetics, biohacking, neurodegenerative diseases, etc. In my interview section, I introduce my readers to people I admire in the world of autoimmune disease: empowered patients, experts in nutrition and health, and functional medicine practitioners (in Spain they’re called Psychoneuroimmunologists). What was your goal in starting your Facebook group, also called Episalud? I set up my Facebook community with the same mission as my blog: to create a tribe, a place where patients with chronic illness could find peace, understanding, non-judgement, and most of all, relevant information based on the functional medicine research. There are nearly 4,000 members, which is not bad for a Spanish-speaking Facebook group. I have a small team of four co-moderator friends who help me with the administration and daily activities in the group. Every day, we ask the members questions and share knowledge about lifestyle, nutrition, emotional/physical/mental challenges, scientific articles, recipes and cooking tips, advice on physical exercise, how to find a health practitioner, etc. It’s a Spanish-speaking group, with around 60% of the members living in Spain. The other 40% live in Latin America (mostly Mexico and Argentina) and the USA. I love my Latin-American friends! Why did you think this was an important book to translate for the Spanish AIP community? What's your favorite part of the book? Since I created my blog and Facebook group, I haven’t stopped creating and sharing quality content in Spanish, as there was such a lack of information about the AIP in this language. 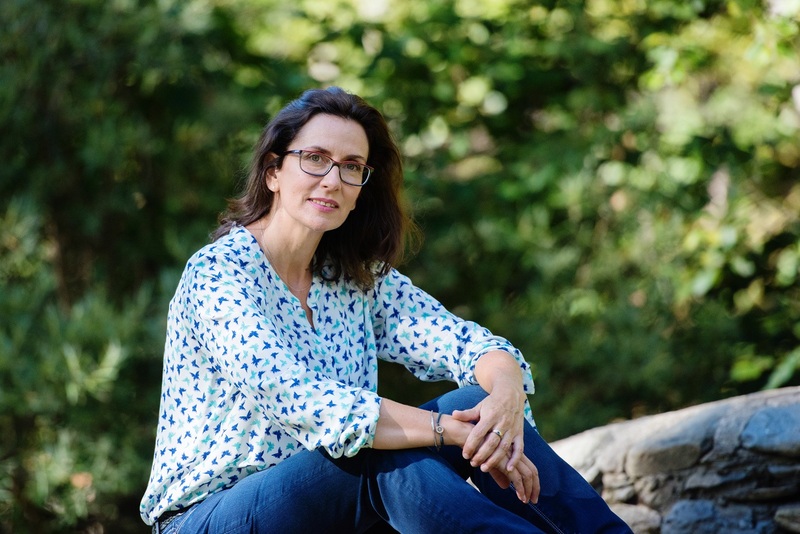 I was happy and excited when you told me about your translation project, and I immediately did all I could to help you find the best possible translator, Julia Gómez Sáez! So many people are in need of accurate information about the AIP, and Guía básica del protocolo autoinmune paleo has been widely appreciated. Now, when people ask for information about the AIP, I’m happy to recommend them this wonderful book! My favorite part of the book is everything related to self-care, relaxation, social relationships, mindset, etc. That is, all the aspects of the AIP that aren’t related to food and are sometimes more difficult to manage and integrate into our daily lives. The fact that the book is really easy to read and understand also makes me love it. When I first read it in English in 2015, I had so much cognitive trouble and brain fog that it was hard for me to read anything, and this book really gave me practical and simple advice that was easy for me to put into practice. What's the response been to the translation so far? There was a great wish for a complete and simple book on the AIP in Spanish. In September, many people want to make good resolutions to improve their lives, so it’s a great resource that they are buying, sharing, and discussing. You're actually a professional translator, but you translate into French since that is your native language. Why have you focused on Spanish AIP resources? I’ve been working as a free-lance translator for more than 20 years. I’m French, and I lived in Spain for 21 years. I’ve been living in Andorra (a tiny country in the Pyrenees, between France and Spain) for nearly 5 years. I translate from Spanish, Catalan and English into French. Over the years, I’ve adapted to the Mediterranean culture and lifestyle. I’m still very French in my way of living and thinking, but I love the spontaneity, sincerity and happiness of the Spanish people. So I naturally created my community in Spanish, for cultural and emotional reasons. Have you ever thought of writing your own book or cookbook? Oh yes, many times! But I’m a perfectionist, and before publishing anything I need to learn a lot, and that’s what I’ve been doing these last four years. I want to be able to create quality content for my community that is based both on my own experience and the most recent scientific research. I’ve started to work with a marketing professional to create new products and services that are completely adapted to my community’s needs. I also have to say that since I work full-time as a freelance translator, I blog and manage my Facebook community in my leisure time. I also have a wonderful 4-1/2 year-old daughter, and I want to dedicate time to rest and play, as well as practice sports and meet friends. But writing a book for my readers is one of my priorities for 2019! What book would you love to see translated into Spanish next? Oh, I would love to see The Paleo Approach by Sarah Ballantyne translated into Spanish! This Bible of the AIP is the reference book everyone should read! And also more AIP cookbooks like The Healing Kitchen co-written by Sarah Ballantyne and Alaena Haber, and Simple French Paleo by my friend Sophie Van Tiggelen. Luckily, The Autoimmune Paleo Cookbook by Mickey Trescott was released in Spanish last summer, which was a lovely surprise for the Spanish-speaking AIP community and which I recommend all the time! I own more than 120 books about nutrition, lifestyle, AIP, paleo, keto, longevity, and the microbiome. Practically all of them are in English, and I would love to see them all translated into Spanish, French, German, Dutch, Chinese, all languages! As a translator and a person who has lived in different countries, I love books, translation, languages, adapting to new cultures. I also love empowering people by making available knowledge from other authors or experts in different languages. As they integrate this knowledge, they will then be able to create their own content, adapted perfectly for their own culture and needs. What are your professional goals outside of your blog? I still enjoy working from home full-time as an independent translator, but studying nutrition and functional medicine is my authentic passion. I’m completing a two-year Master’s Degree in Clinical Pyschoneuroimmunology with a Spanish institute, and I’m about to begin a four-year online university degree in nutrition. When I finish studying, I’ll definitely focus on creating quality content in Spanish to publish and share with my readers. In the meantime, I’ll keep on translating and learning! I always like to remember that we are all so much more than our work and our health journeys. What brings you joy? What do you do for fun? Definitely my little 4-year-old blonde daughter, Alma, gives me the most joy! I prioritize time for family-related activities. My husband had a hard time dealing with a sick wife for two years, but now we really enjoy walks in the mountains, cooking together, going to museums, and decorating our home. I also love walking in the mountains on my own, as well as reading, relaxing in the water, or skiing with my friends. What brings me most the most joy of all is knowing I’m healthy now, thanks to inspirational persons like you, and that I’m able to help others and even become a role model for some! 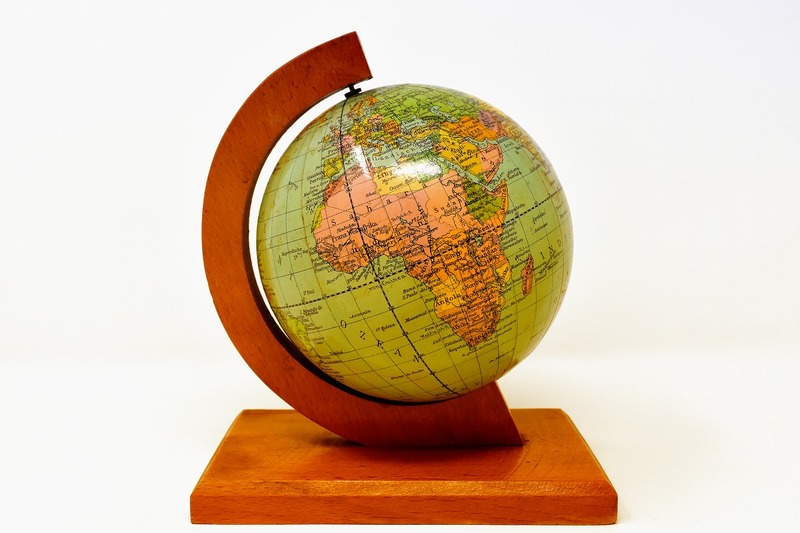 Globe photo credit: Alexas Fotos via Pixabay (creative commons).